Dinners held at Tournant are intimate yet convivial affairs. Guests are invited to mingle over a glass of wine and a variety of small bites before being seated at long communal tables to share a seasonally focused family-style meal and plated dessert. Tournant is a celebratory place for guests to gather and enjoy drinks, small bites and conversation. A sumptuous holiday harvest table will be set with seasonal offerings for guests to enjoy throughout the evening as they please. 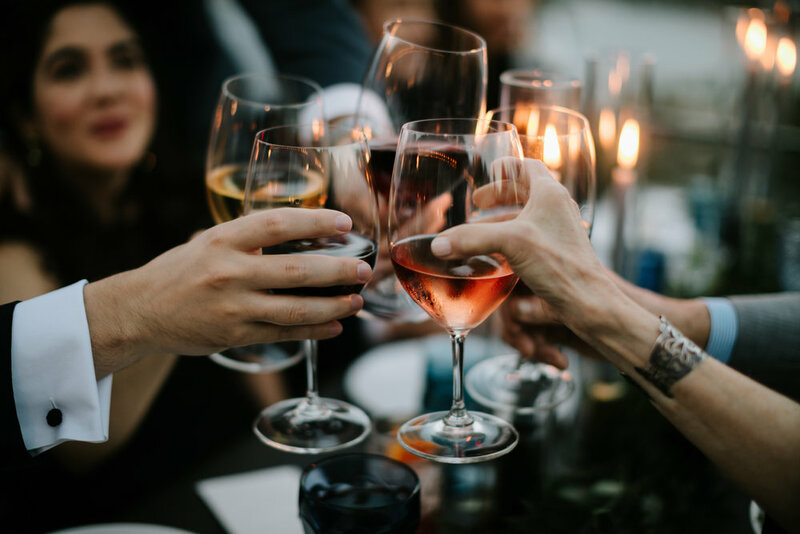 All celebrations include a selection of house white, red and bubbly, beer and our house made shrubs and other non-alcoholic beverages. We can also add a signature welcome cocktail or select bar service. We're always happy to discuss ways to further enhance or tailor your experience. Tournant is located in the Bison Building in the heart of Portland’s creative industrial eastside. Our private dining room accommodates up to 40 seated guests (60 standing) and the open kitchen, clean, airy design aesthetic and cozy elements of farmhouse charm make it a perfect space for intimate yet convivial gatherings. Your private room rental is based on a three hour minimum and billed at a rate of $200/hour. This fee is inclusive of kitchen and service staff as well as full use of the dining room, bar area, two ADA approved restrooms, tables, chairs, table settings and glassware for 40 guests. After 5pm, free off-street parking is typically abundant in our area. A $1500 minimum applies to private events in the space, and can be met through a combination of food, beverages, room rental and service fee. Cocktail receptions begin at $50/person and are inclusive of a generous spread of seasonal appetizers, house beer and wine, and a selection of non-alcoholic beverages. Additional items such as a welcome cocktail, oyster bar or a sweet course can be added to supplement the experience. A 20% service fee will be added to your final bill. Pricing is based on a three hour event. If event extends beyond three hours, beverage service will be billed at a rate of $10/per person per hour. A 20% service fee will be added to your final bill. Meals begin at $80/person and are inclusive of welcome snacks, family-style supper, dessert, house beer and wine, non-alcoholic beverages, coffee and tea. If you’re looking to further enhance your meal, we’re happy to discuss a welcome cocktail, oyster bar, plated appetizer, soup or cheese course. A 20% service fee will be added to your final bill.